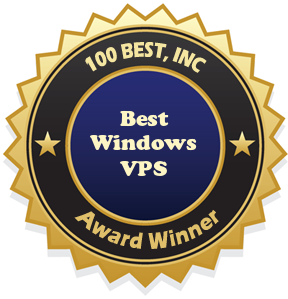 GigaTux is being named a Best Windows VPS hosting provider by Best Free Web Space. After a thorough web hosting review of GigaTux and the web hosting options and services they offer, we are excited to provide them with this award and recommend them for both Linux and Windows VPS hosting. In addition to VPS hosting, GigaTux also offers shared web hosting, domain name registration, and dedicated servers. Read our GigaTux review to learn more and then visit their website to compare web hosting features and find the web hosting plan to meet your needs. GigaTux was founded in 2007 and is based in London, UK. GigaTux offers servers in London, UK, Frankfurt, Germany, and at two locations in the US: Chicago, IL and San Jose, CA. Providing several locations for clients to choose from gives webmasters worldwide the opportunity to choose the location nearest them and helps ensure a reliable web hosting service for every client. GigaTux uses only the best hardware and software options to provide each webmaster with a reliable environment for every webmaster to customize his VPS hosting the way that he wants to. No matter how great the product is, if there is no customer service to support it the web hosting experience is not likely to be successful. The GigaTux support team understands this and is dedicated to providing individual support to help every customer with his/her individual needs. Every Windows VPS plan from GigaTux comes with 24/7 support. No matter when your questions come up or a problem arises you can contact the support team and they will be glad to help. Customers can talk with a GigaTux support rep via live chat, phone, email, or their ticketing system. Other standard features with every web hosting site include: Nehalem top quality dual quad core servers, assistance and tools for the best Windows drivers performance, and a 28 day money back guarantee. Many VPS hosting services make the service seem very complicated and difficult to manage. At GigaTux they go the extra mile to make sure that your VPS hosting experience is successful and easy. VPS hosting provides many opportunities and a reliable service that a webmaster doesn’t have in a regular shared web hosting environment. With VPS hosting each account is partitioned off from the other accounts on the server, providing a “dedicated server” environment with a dedicated amount of resources allotted to each of the VPS accounts. This also allows a webmaster the ability to choose his/her operating system, the software and programs he/she wants, and the ability to reboot his portion of the server. Having the ability to choose the anti-virus, firewall programs, and other software combined with the knowledge that your web hosting accounts will not be affected by the traffic and usage of other clients on the same server is a great benefit of VPS hosting. The first step in choosing which GigaTux Windows VPS plan will work for you is to choose the location for your VPS server. Next, you will be able to choose the plan with the amount of RAM, storage space, and bandwidth that will meet your individual needs. GigaTux provides numerous options to ensure that you are not paying for more than you need or having a shortage of resources because you can’t afford the next plan up. After choosing which VPS hosting plan is right for your web hosting needs you can customize your server configuration settings with your hostname, nameserver information, and a root password. Webmasters will also have the option of choosing to add (for an additional charge) the cPanel VPS license, additional disk space, website backup services, a DirectAdmin license, a Plesk license for up to 30 domains and the Windows server 2008 standard license. For more information on these options and pricing for each, visit the GigaTux website or talk to a service rep. Each colocation environment was chosen after months or research to ensure that every customer would have a dependable, reliable hosting experience. By visiting the website customers can get detailed information about the physical datacenter environment to find the best location for your needs. After a thorough review Best Free Web Space is happy to recommend GigaTux as one of the best Windows VPS hosting providers. We have had a very positive experience in working with the service team and have been impressed by the quality of hardware and web hosting tools and features they have to offer. As with any web hosting experience we recommend each webmaster complete his/her own web hosting reviews and web hosting comparisons to find the best web hosting service provider to meet his/her individual needs. For Windows VPS hosting check out GigaTux today.